Iraq’s internally displaced persons (IDPs) face profound insecurity and life-threatening conditions as the conflict escalates again, says a new report by the Ceasefire Centre for Civilian Rights and Minority Rights Group International (MRG). The rights organisations say that IDPs are at risk of attack not only from the Islamic State of Iraq and al-Sham (ISIS) but also from Iraqi Security Forces, Shi’a militias and Kurdish forces. As significant numbers try to return to their areas of origin, fresh waves of displacement from Mosul and elsewhere are taking place. The report, Humanitarian Challenges in Iraq’s Displacement Crisis, finds that many are without access to adequate food, shelter and essential services such as health care, water and sanitation, particularly those trapped in remote or conflict-affected areas. Women, children and persons with disabilities are especially vulnerable. The vulnerability of IDPs is further exacerbated by restrictions on freedom of movement imposed by Iraqi and Kurdish security forces. They routinely suffer discrimination on the basis of their ethnic or religious identity. Sunni IDPs, for example, are frequently denied entry to Baghdad on the assumption that their numbers may include ISIS sympathizers. Education remains inaccessible or unaffordable for many, with huge numbers out of school as a result of conflict and displacement. ‘Millions of Iraq’s IDPs will soon enter their third year of displacement and many have been displaced repeatedly. With three million children now out of school, further mass migration is inevitable,’ says Mark Lattimer. Returnees face considerable risks as numerous homes and neighbourhoods have been booby trapped by retreating ISIS fighters or still contain explosive remnants of war (ERW). Despite these dangerous conditions, authorities are encouraging IDPs to return without raising adequate awareness about the potential threats or ways to minimize them. As a result, deaths and injuries have already been reported among returning IDPs. ‘Following years of conflict, many IDPs have suffered repeated displacement and return home appears a distant prospect. 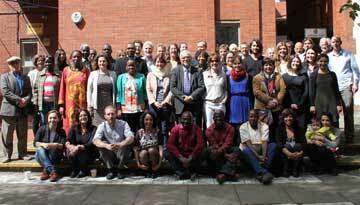 For a large number of Iraqi families, displacement has become a semi-permanent condition,’ adds Lattimer. 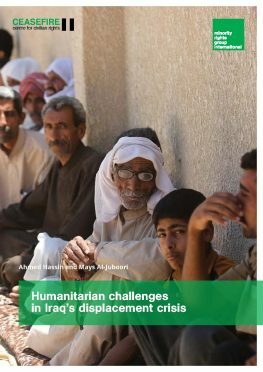 Humanitarian Challenges in Iraq’s Displacement Crisis, by the Ceasefire Centre for Civilian Rights and MRG is available for download on MRG’s publications website. The report contains key recommendations for The Government of Iraq, the Kurdish Regional Government, international agencies and donors.